Jan 08, 2015 · Transcript for Paris Deputy Mayor: 'Here in Paris, We Keep Fighting' This transcript has been automatically generated and may not be 100% accurate. Paris Deputy Mayor - 'Here In Paris We Keep Fighting'. 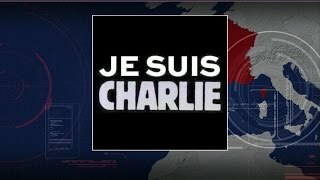 Jan 08, 2015 · George Stephanopoulos talks to Deputy Mayor Patrick Klugman one day after a deadly attack on satire magazine Charlie Hebdo. Jan 08, 2015 · We invite all our readers to sent their pictures or clips to permit their visualization in web and publicity of the owner of the job posted. Paris Deputy Mayor: 'Here in Paris, We Keep Fighting' NTSB Investigates DC Metro Smoke; ... Cop breaks down after fatally shooting unarmed suspect.